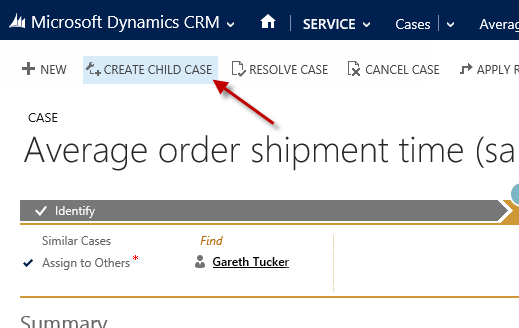 Hi Gareth, I just came across a huge limitation on the new Case functionality. The relationship between Parent Case and Child Case cannot be edited, thus the Grid View of Child Cases cannot be expanded from the Parent Case. I see the same limitation on MSCRM2015 as well. We have the ability to create Child Cases from a Parent Case, but we cannot bulk edit or assign any Child Cases from the Parent Case form. This is a huge limitation where we are required to exit the Parent Case, search for all related child cases and then edit as required.